If you are the owner of an IPhone (or have owned one since 2011) you’ve probably already had a few conversations with Siri — and maybe you’ve even gotten some sass back. Whenever you utter, mumble or whisper sweet nothings into apps like Siri, OK Google, or Window’s Cortana, you are performing a Voice Search — a method of searching the Web that is becoming increasingly more popular. Why shouldn’t it? Typing takes effort – talking is just plain fun! 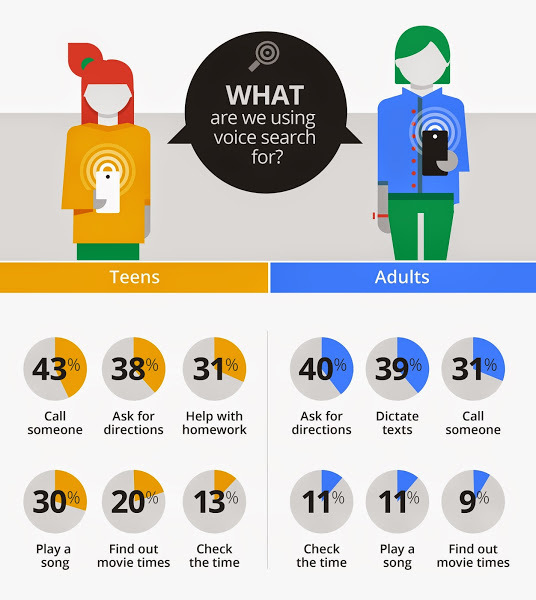 Late last year, Google reported in its Mobile Voice Study that 55% of teens and 41% of adults are conducting at least one voice search every day. This trend is already impacting SEO in a big way. Think about the way a voice search is conducted compared to a search where one types a phrase into a search engine. When you type something into Google Search, you tend to think about the best way to construct your query – you might enter a keyword or two that you think will bring you the results you’re seeking. Let’s say you are ready to bake a cake from a recipe that uses grams instead of teaspoon measures. Faced with a type-in search box, you might enter the phrase “dry measure conversion” and then click through to a tool or website where you could convert the measurements for each ingredient. 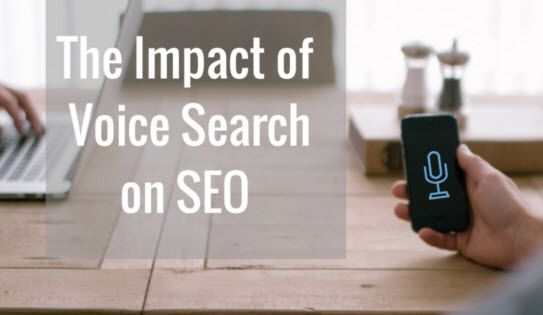 Now think of the way you use your voice search app and you’ll notice a marked difference in how you search for the same information. 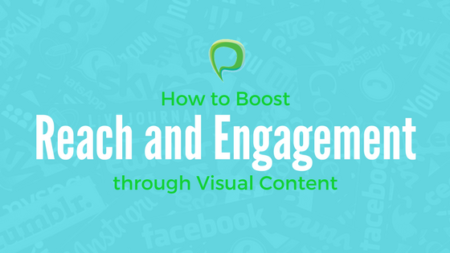 Speaking, rather than typing, takes some of the focus off of the keywords. It’s easier to speak a lengthy phrase than to type one, so voice searches tend to be longer and more detailed. The searcher is more apt to ask, “how many grams in three teaspoons” than she would be to type the same query into a search box. More and more, search engines are coming to understand natural language in order to deliver relevant results to conversational queries. As a result, when gauging which websites to return to provide the most relevant results, Google continues to place less weight on individual keywords and more emphasis on the quality of content and the value it brings to the searcher. This move towards semantic search means that Google is no longer trying to identify relevant websites by matching the query phrase itself; instead it is trying to understand the intention of the searcher. What does this mean for your website SEO? When creating content for your business website you should focus less on trying to work your carefully researched keywords into your pages and instead just try to provide more and better information to your readers, consistently and continually. It’s no longer crucial to try and anticipate which keywords your customers might be using to find your products and services in search if you are providing answers to the types of questions that will be asked of you, the business owner. The long tail query has finally come of age. Parallax Scrolling is All the Rage, But How Does it Impact Your Site’s SEO?